→More info. Ideas on the ideal layout. More info. Ideas on the ideal layout. Hi to everyone on this snowy day. I’ll offer you a little more information about who I am and why and other things of that nature. My name is Nige Buttery and at 56 I’m nearly in my prime. I worked in warehousing for 14 years rising from shop floor to warehouse manager, suit and tie, then after about 6 years as manager is was made redundant. I had been a hippy/biker in my younger days and took my watch off, tie off and decided to regress back to comfort, suits and ties were never me. I then became a white van man, even if it was green, picking up parts of jumpers for out workers to put together. I then became a proper white van man delivering round West Yorkshire, a gorgeous county and I look forward to doing the Huddersfield narrow at some point. 14 years later I decided to try something rather different by working in care and ended up in registered care working with adults with severe learning difficulties which I’ve enjoyed for the last 8 years. I’ve just quit the company I worked for due to the politically correct nature of our industry and the company in particular so I am actually homeless and jobless but still going to buy some kind of liveaboard and look forward to a different year and new employment. I’m single, quite sociable sometimes but not really a TV fan. I like real ales, real ciders and malt whisky, but not in large quantities as three or four pints and I’m gone so can be vulnerable to nice young ladies who may like their men with a little more sophistication and maturity. Something like that. I class my self as a spiritual type chap and attend an Anglican church but have Buddhist leanings too. I play guitar and sing and write some of my songs and a little bit of poetry too. I will do personalised poems for birthdays, weddings, anniversaries etc for a small fee. I enjoy wildlife and obviously I’m rather fond of water, rivers, lakes, canals and the sea. I’ve more or less always had a liking for boats but where I grew up and still live is as far away from the sea as you can get and the nearest proper canal or river is at least 15 miles away. After the boating holidays as youngster I’d intended getting a cruiser to live on when I first decided to change my lifestyle. This however quickly changed once I got talking to a few boaters who explained the pitfalls with a wooden or GPS cruiser when the winter sets in. 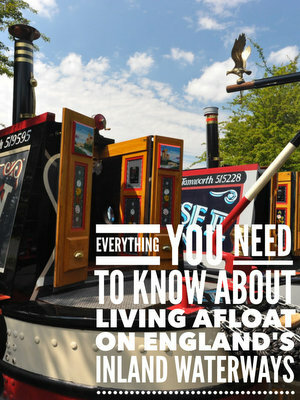 Narrowboats are insulated and geared towards living on where cruisers aren’t and it gets very hard to keep them warm. Lesson one learned so my attention changed to narrowboats which once I really started looking also came up trumps when it comes down to usable space inside when compared to cruisers of a similar length. As I mentioned yesterday talking to friends about you’re plans can yield benefits and I found out a friend of mine knew two people who where actually living on the water, one at Willington and one at Shardlow, and she arranged a visit for us. The couple who were at Willington had a 50ft x 12ft wide-beam which was quite new and not surprisingly very nice. It was a cold frosty day in February and when you walked onto their boat it was toasting inside with a roaring solid fuel stove in the corner. The main living room was about 12ft by 12ft the same size as the front room of the terraced house I grew up in. If you can afford it and don’t mind the restrictions of where you can go on the canals then you can have luxury, room and the water too. They have now moved down to Sawley as because of the width they couldn’t navigate much further up the Trent and Mersey so Sawley made more sense with access to two rivers. The second boat was moored at Shardlow and owned by Richard who was single and had a spaniel too. His was a 52 foot narrowboat also with a roaring fire and a side hatch. I personally like the side hatches as it seems wonderful to just lean on the sill and watch the world go by along with the ducks and swans. One of his suggestions was that 50ft is just about minimum for a liveaboard. I know of people who live on 45ft and even 35ft but I’m inclined to think that having a little bit of space on board is a good thing especially if you’re thinking of inviting friends and or family down. Everybody is different and will want a different layout. If you’re having one built then you can certainly have it your own way but if like me you’re buying someone else’s dream boat then compromise comes into it too. After viewing a few boats I started to get an idea about what and how I might like my boat to be and the layout of it. There are so many different designs and layouts so check out the Internet and get down to the marinas where they are selling boats and get on board as many as you can. Doing this gave me new ideas and just as useful showed the out door to some ideas I’d already made. I personaly favour an open plan living area or depending on the size and layout some built in furniture but still with an open plan area to allow for a bit of movement and versatility. The boat I’ve made an offer for has a built in dinette in the bow of the boat and then about 10 ft of open space before you get to the kitchen area. It pays to spend some time thinking about what you’d really like but I’ve found that you get a feeling when stepping on board whether you like something or not. But a flexible attitude and considering what you want to do while afloat is a pleasurable and constructive way to pass the time. I shall try and post again over the weekend and hopefully may have news on the boat purchase front. Have fun and may God bless you. Steppin’ Out; World Tour 2014, day 12 Saturday. Branston back home to Mercia marina, Willington. Steppin’ Out; World Tour 2014. Day 11 Friday. Fradley Junction to Branston via Alrewas, stop for butcher, and Wychnor. Steppin’ Out; World Tour 2014, Day 10, Cannock Chase to Fradley Jct, Including, excitement, near death and sun. Steppin’ Out; World Tour 2014. Day 9 Wednesday. Lazy Wednesday afternoon. Steppin’ Out; World tour 2014, Day 8 Tuesday. The danger of water and more good folks. 55 years old. I work in registered care as a care assistant and have my house up for sale and when sold will be buying a narrowboat of some kind to live on. Been a bit of a dream of mine for many years. Don't know for certain if I'll like it but I'm really looking forward to it and think that I will. I have been looking at boats and reading and talking to people over the last 6 to 9 monts and sometimes I feel like I might know what layout I want. I will be on a restricted budget of about 25 to 35k and will be looking for advice and tips to help me make a fair start on the water.